Flugnirkeppni is a USIHC sanctioned show and part of the Eastern Regional Icelandic Horse Championship. The event features imported and domestic-bred Icelandic horses, camaraderie, and a fun, friendly atmosphere. Bring your horse and participate in classes or come simply to spectate, socialize, and cheer on your friends! 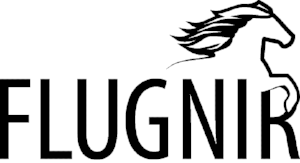 In conjunction with the event, we will also have our Flugnir Annual Meeting, where Flugnir members can share their ideas for the club with other members and the Board of Directors. Flugnirkeppni is moving to Minnesota in 2019! Join us August 24th - 25th, 2019 at Tolthaven Icelandics in Pelican Rapids, MN. All levels of horses and riders are welcome to attend and participate in the show. New to the showing world? The USIHC has lots of helpful information about Icelandic Sport Show competition and detailed class descriptions available on their website.